Please fill in the details below and we will let you know when Hendre Huffcap perry pear trees are back in stock. Hendre Huffcap is in flowering group 3. Hendre Huffcap is self-sterile and needs to be pollinated by another tree of a different variety nearby. 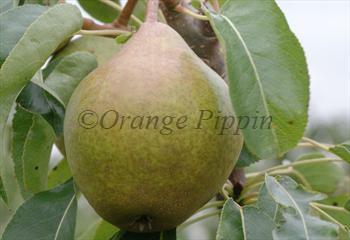 Since it flowers in the middle of the blossom season it can be pollinated by most other perry pear trees. Huffcap is an old English term commonly used to describe perry pears which have an elliptical shape - or possibly any strong drink.